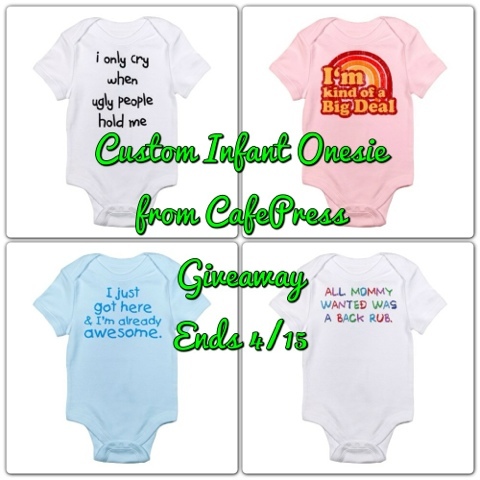 Funny Baby Onesies & a Giveaway! 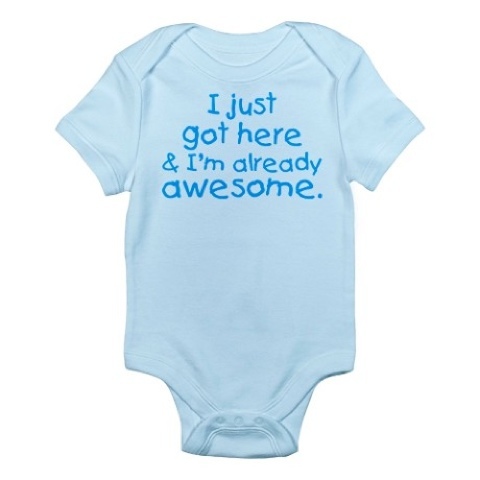 You have all seen those funny maternity shirts and onesies scoured around the net. I have chosen to share a few of my favorites. 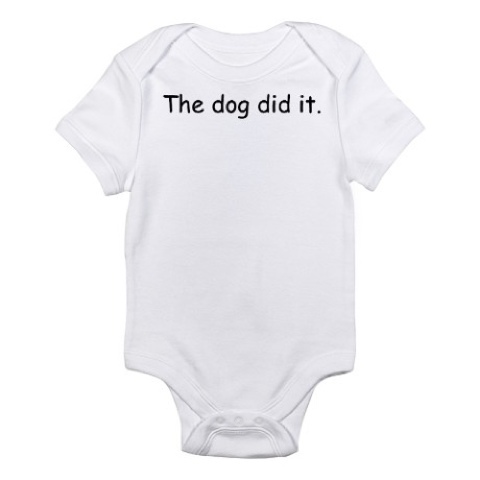 Some pretty funny stuff, so I was very excited when I received the opportunity to share one of these personalized onesies for babies to one Nanny to Mommy reader! CafePress has many other fun stuff like cute bedding duvet covers. 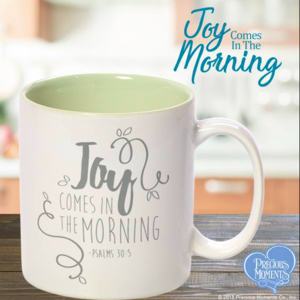 You can like CafePress on Facebook, follow CafePress on Twitter, or follow CafePress on Pinterest. The only required entry is to comment on which your favorite is. 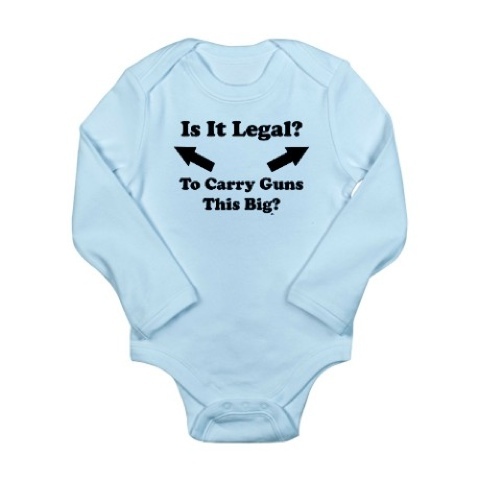 Winner will get to pick ANY personalized onesie from CafePress. All entries are verified. Please note that Nanny to Mommy is not responsible for prize fulfillment. 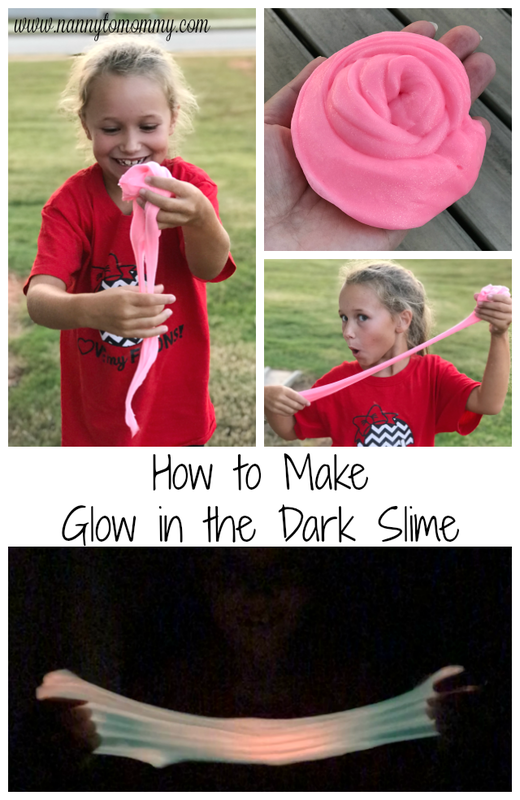 Thank you for entering and please feel free to check out the side bar for other awesome giveaways. This sweepstakes is in no way sponsored, endorsed or administered by, or associated with CafePress and that any references to any of Nanny to Mommy Blog’s products, services, or offerings by trade name, trademark, manufacturer, supplier or otherwise do not constitute or imply endorsement, sponsorship or recommendation thereof by CafePress. Thanks for this giveaway. I love Cafe Press. I have a maternity shirt from them that says "this ain't no beer belly" that I wore at out 4th of July party. I like the stroller today, race car tomorrow onesie. These are so funny--I'd definitely have to get the "all mommy wanted was a back rub" one. the 'don't look at me, that smell is coming from daddy' is pretty funny! My daughter is pregnant. I would love the I'm the Little Sister one for her. 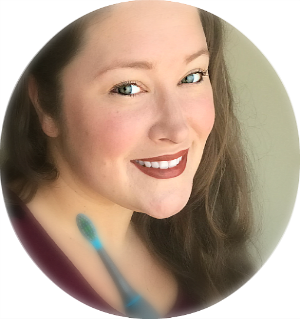 Love your blog header...adorable pics! Newest GFC reader #916! Looking forward to getting to know more about you and yours and sharing the love and support. I like the "My Heart Belongs to Daddy" one. 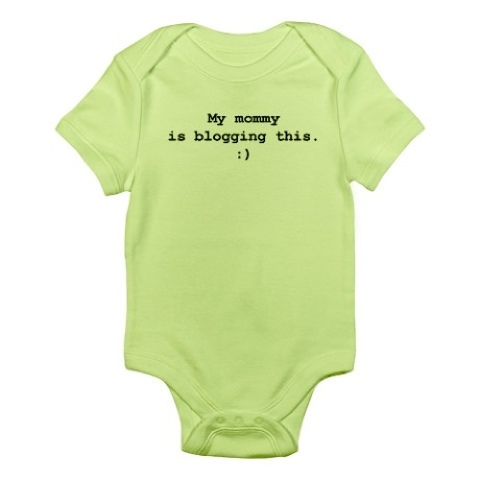 Definitely a "my mommy is going to blog this" onesie! I came to you from the lady laduke link party. Loving the onesies and giveaway. I love the "I'm not allowed to date ever" onesie!! I love the "Is it legal to carry guns this big?" onesie! I like "The Force is strong with this one"
I love the My Cousins love Me. Of course, for the 2 year old set, I love the one I designed! 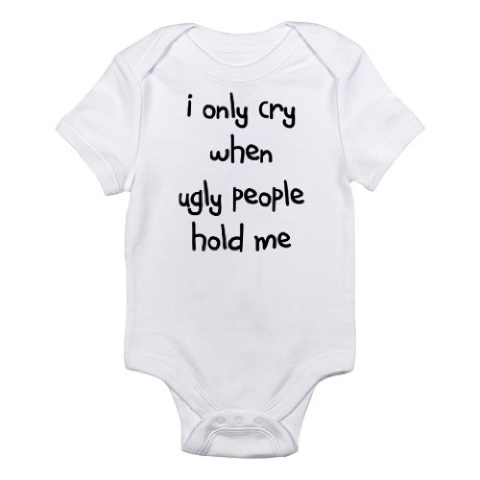 i like "im kinda a big deal around here"
"Don't Make Me Call My Aunt"
I only cry when ugly people hold me onesie. LOOOOVE the little sister one! I like the McBaby one with the four leaf clover since our baby was conceived on or around St Pattys day. I love the I *mustache* you a question bodysuit! LOVE mustache gear because my husband sports a great stache! I like the Daddy Wrapped Around Finger - Body Suit. Thanks. I like the organic miso cute. I like the Box of Juice one! I really like the one that says "little dude" Cute! I love the guns one! 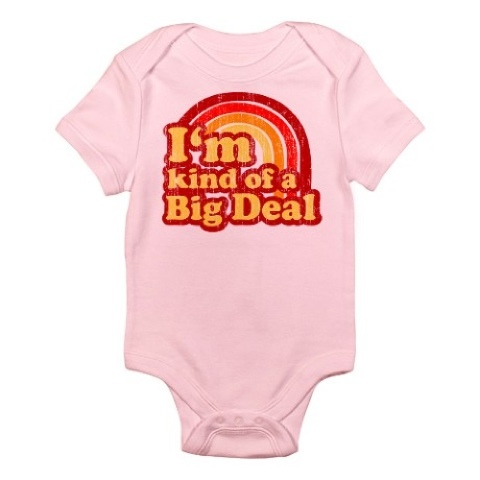 But I need in pink for my friend's baby.